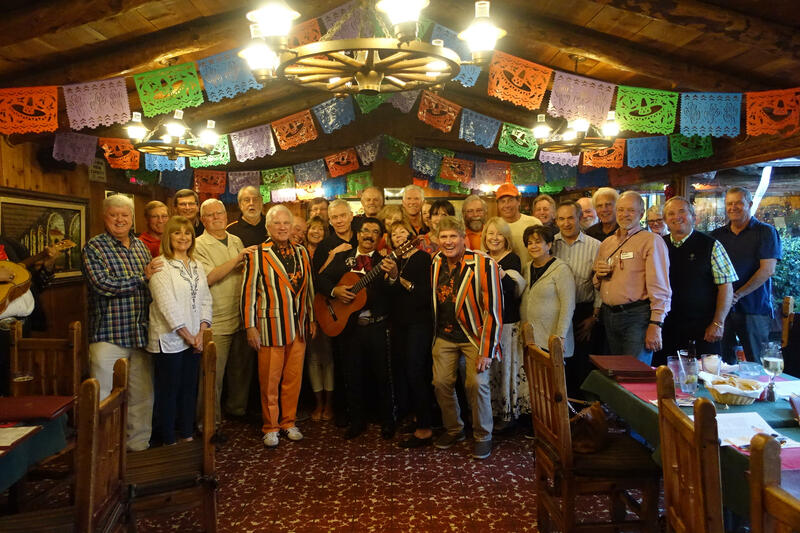 Sunday, February 17th at 5:30 p.m., some of your Classmates will be at what has become "our usual hangout," Tony’s Jacal in Solana Beach for cocktails and an authentic Mexican dinner with local and visiting classmates and spouses. It’s located at 621 Valley Avenue. Please consider joining us, whether you live nearby or, as so many have in the past, if you live farther away, or in colder climates. This event historically has been very well-attended by 30 or more Classmates, their significant others and WILD Life wannabes. The evenings provide warm spirited conversations, tasty takes on Mexican favorites and often boisterous songs and stories. It receives excellent reviews from previous attendees each year. Please get the date on your calendar. Then RSVP to Geoff Smith at jefes2rs@gmail.com or Stu Rickerson at dfensnet@pacbell.net to let them know how many we should be expecting and to save your place at another fun West Coast Class of 1971 event. If this appeals, reach out to your friends and Classmates to plan side excursions or other weekend activities (whale watching, golf, hiking, museums, or even a trip to the beach).